21 December 2006: Final results announced by the Iranian interior ministry show that the Iranian president's opponents have won local elections held on 15 December. Moderate conservatives opposed to President Mahmoud Ahmadinejad won a majority of the seats, followed by reformists, whose chances of electoral success were severely handicapped in 2004 by ultra-conservatives loyal to Ahmadinejad. The vote is being seen as a sign of public discontent with Ahmadinejad's constant fights with the West, which have led Iran closer to UN sanctions. His anti-Israel rhetoric and unbending stand on the nuclear programme are believed to have divided Iranians who voted him into power in 2005. Some conservatives feel Ahmadinejad has spent too much time confronting the US and its allies and failed to deal with Iran's struggling economy. The voting also represented a partial comeback for reformists, who favour closer ties with the West and further loosening of social and political restrictions under the Islamic government. Leading reformist Saeed Shariati said the results of the election was a "big no" to Ahmadinejad and his allies. Similar anti-Ahmadinejad sentiment was visible in the final results of a parallel election held to select members of the Assembly of Experts, a conservative body of 86 senior clerics that monitors Iran's supreme leader and chooses his successor. A big boost for moderates within the ruling Islamic establishment was visible in the big number of votes for Hashemi Rafsanjani, who lost to Ahmadinejad in the 2005 presidential election run-off. Rafsanjani, who supports dialogue with the US, received the most votes of any Tehran candidate to win re-election to the assembly. Also re-elected was Hasan Rowhani, Iran's former top nuclear negotiator whom Ahmadinejad repeatedly accused of making too many concessions to the Europeans. In Tehran, the capital, candidates supporting Mohammed Bagher Qalibaf, the city's moderate-conservative mayor, won seven of the 15 council seats. Reformists won four, while Ahmadinejad's allies won three. The last seat went to Ali Reza Dabir, a wrestling champion who won a gold medal in the 2000 Sydney Olympics and is considered an independent. Final results for the rest of the country also showed a heavy defeat for Ahmadinejad supporters, and analysts said his allies won less than 20 per cent of local council seats nationwide. None of his candidates won seats on the councils in the cities of Shiraz, Bandar Abbas, Sari, Zanjan, Rasht, Islam, Sanandaj and Kerman. Many councils in other cities were divided along similar proportions as Tehran's. Iran started having council elections after a reform introduced in 1999 by Mohammed Khatami, the then president. More than 233,000 candidates ran for more than 113,000 council seats in cities, towns and villages across the vast nation on Friday. All municipal council candidates, including some 5,000 women, were vetted by parliamentary committees dominated by ultra-conservatives. “The committees disqualified about 10,000 nominees,” reports said. 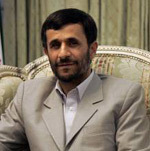 The election does not directly effect Ahmadinejad's administration and is not expected to bring immediate policy changes. The local councils handle community matters in cities and town across the country. But it represented the first time the public has weighed in on Ahmadinejad's stormy presidency since he took office in June 2005. In Malaysia, the deputy minister in the Prime Minister’s department, Datuk M. Kayveas, caused a furore recently when he called local authorities "secret societies" because of the lack of transparency and accountability, highlighted by public concern over mismanagement, wastage of public funds on overseas junkets under the pretext of study tours, approvals for deforestation of land causing untold damage to the environment, lack of enforcement, bribery and corruption in local townships. The Malaysian public simply does not know how the authority is administered and the quality of services which are either not forthcoming or are ill-performed. The local authorities are a law unto themselves. Reference was made in the Dewan Rakyat (Malaysia’s lower house of parliament) at its October session to the former Prime Minister's acknowledgment that corruption was widespread at all levels of government. Bribery and corruption have become a way of life since local elections were abolished in 1970. Since then, councillors of the local authorities are appointed by the mentri besar or the chief minister. Names are submitted by political parties for consideration and present day councillors cannot therefore be regarded as truly independent.